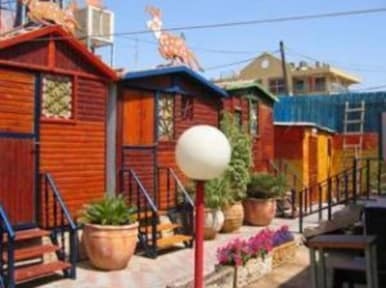 Corinne Hostel i Eilat, Israel: Reservér nu! At Corinne Hostel you get air conditioned rooms with television, refrigerator, and shower-toilet in the room. We offer rooms to couples, to families and to groups. 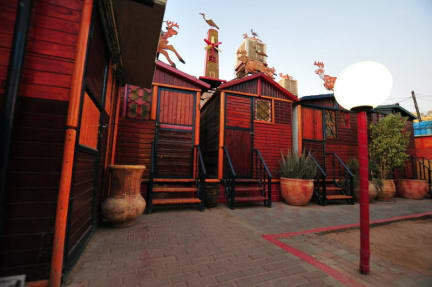 We have suites built of wood (zimmers) and regular built rooms. There is a lobby with television and games area. Our staff is warm and kind to make you feel at home. We keep the place quiet and pleasant so that you feel comfortable and relaxed. We have lockers to store luggage for a fee.Corinne Hostel has been serving, faithfully, visitors and tourists to Eilat for 30 years. Corinne Hostel is known to be clean, quiet and safe.We also have Wi-Fi for your laptop free of charge.